Scalp Med is a specially formulated solution that offers great results for that fighting hair loss. Scalp Med have developed different hair loss treatment solutions for both men and women. They promise better looking, thicker hair after a few months of use. This Scalp Med review will help you decide if you should or should not buy their products. There are just too many hair loss products right now that are purported to help people solve their hair loss problems, including this brand. Read our review and decide if it is worth buying. Scalp Med is a specially formulated solution that offers great results for that fighting hair loss. Modern Health Labs, Inc., the maker of the Scalp Med treatment system, introduced their product after years of research and development. The product uses the FDA-approved agents Vitadil-5A and Vitadil-2A, both which contain minoxidil in 2% and 5% formulas. 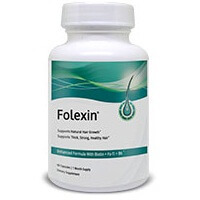 Minoxidil is also the active ingredient in popular Rogaine hair treatment. 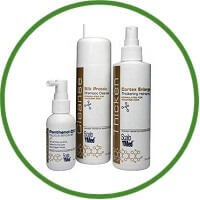 The Scalp Med system includes topical scalp treatments, a detoxifying cleaning kit, and a vitamin supplement. When used together, men experiencing hair loss or thinning can prevent further loss from occurring. What Exactly Is Scalp Med? Scalp Med is like no other hair re-growth formula. It contains the needed amino acids to stimulate hair growth. Scalp Med has even been clinically tested to improve matrix cells through nutrients. This is designed to revitalize follicle stimulation for fast hair growth. Scalp Med has two lines: one for men and one for women. Each is designed differently and is based on the causes of hair loss in that gender. Male hair loss is caused by hormone changes during the twenties and on through middle age. This hormone change is the transformation of testosterone into DHT. DHT is a hormone that damages hair follicles in the scalp. After follicles are damaged they no longer promote hair growth and lead to hair loss and thinning. Scalp Med for Men works to combat DHT through its proprietary formula that took years of research to perfect. Scalp Med is designed to provide the scalp with nourishment so that it is the optimal site for growth. Follicles are then stimulated to re-grow. Scalp Med produces the best results when used at the site of thinning hair. Scalp Med states that after hair follicles have been damaged for long periods of time they cannot be stimulated again. This is why Scalp Med works to stop future hair loss and help re-grow hair in thinned areas. ScalpMed products consist of several ingredients. The active ingredient present in Vitadil-5A and Vitadil-2A is minoxidil. Vitadil-5A (Extra Strength) is a 5% minoxidil solution for topical application. This product can be used by men who are experiencing a general thinning of hair on the top portion of the scalp. This product is not intended to be used for either frontal baldness or a receding hairline. It has been seen that 5% minoxidil solution for topical application is helpful in re-growth of hair in men who have varying degrees of hair loss. This patented product contains essential amino acids, minerals, herbs and nutrients that help restore the structures of hair follicles. The hair follicles become healthy due to the penetration of the active ingredients. This formula is contains antioxidants, vitamins and minerals that ensure hair re-growth success. For female pattern hair loss, 2% minoxidil solution for topical application is found to be more effective. The formulation of this product is similar to that made for men. The formulation of this product is also similar to that made for men. This specially formulated shampoo for thinning hair is free of SLS, paraben and 1, 4 dioxane and other irritants or harmful substances. Only safe and clinically proven cleansers and emulsifiers are made use of in Scalp Med’s Silk Protein Shampoo. The Silk Protein Conditioner that contains essential amino acids, multivitamins and minerals is designed to moisturize the hair and the scalp and grow stronger and healthier hair. The Cortex Enlarger Hair Spray penetrates into each and every hair cuticle and swells the cortex and adds body and fullness to fine or limp hair instantly. The Detoxifying Cleanser has Panthenol-DX in it that helps to remove scalp impurities. ScalpMed offers a 60-day challenge. All the products carry a 100% money back guarantee. Anyone who is not satisfied with the new hair growth after using the product for 60 days as directed can return the product and claim a refund (less shipping and handling), even if the bottles are completely empty. According to ScalpMed, the products do not cause any sexual side effects, scalp irritation and dryness. ScalpMed has received an exemplary rating from the Better Business Bureau, indicating that the bureau does not have anything in its files that creates doubt about the reliability of ScalpMed. ScalpMed recommends continued use of Vitadil-5A or Vitadil-2A to not only increase, but also maintain hair regrowth. Stopping the usage of these products may cause hair loss to occur again. As each individual is different, the time taken to see results will vary. However, as per ScalpMed, a significant difference can be expected towards the end of the 60-day trial period. “For two years I used the number one product that doctors recommend for hair loss, and it basically levelled off my hair loss and I was experiencing unwanted side effects. Then I started using Scalp MedTM, it had no side effects and within two months I’ve gotten my hair back. The combined use of all the products in the Scalp Med system can help provide a healthier crop of existing hair, and even re-grow some hair in thinning areas. The success rate is respectable, and with the combination of all three products, the success rate is better than those who just use minoxidil in Rogaine. Are There Any ScalpMed Side Effects? The development of Scalp Med was intended to have little or no side effects. Most of the ingredients are natural, and users do not usually experience side effects. With any topical scalp treatment, however, there exists the possibility of itchy, dry scalp, and possible redness. Some people experienced minor breakouts. This could just be the body’s way of reacting to the amino acids. It may cleanse the body first (thus pushing the dirt and the unwanted toxins from the inside) which is why some experienced break outs. Other than that, there were no reported serious side effects. Costs for the Scalp Med system of treatment can be high, as much as $160 for a 2-month supply. The Scalp Med treatment is only sold as ”package” of the three main products. With the high cost of the Scalp Med treatment, some users who experience success with minoxidil may want to opt for the generic form of Rogaine sold in drug stores and supermarkets. The best part is that Scalp Med comes with no side effects and a money-back guarantee. With the right ingredients and in the right amounts, Scalp Med is said to give varied results that depend on the person. Results are said to appear within sixty days of use. In the end Scalp Med seems to work as directed.